Celebrate BSD Now's 2 year Anniversary! 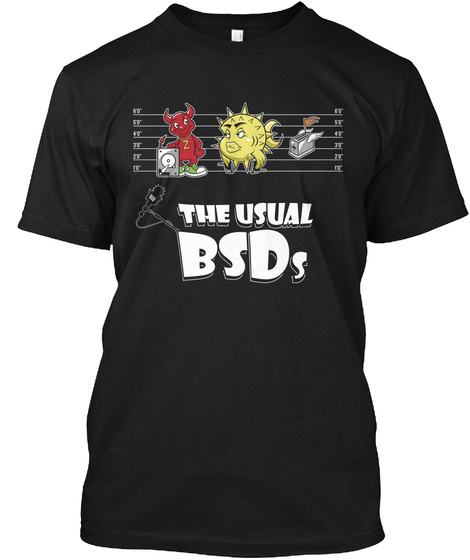 In celebration of 105 BSD Now's we bring to you a shirt to celebrate the awesomeness of BSD with "The Usual BSD's"! Available in unisex and a women's fitted tee! The BSD Daemon is copyright 1988 by Marshall Kirk Mckusick and is used with permission.